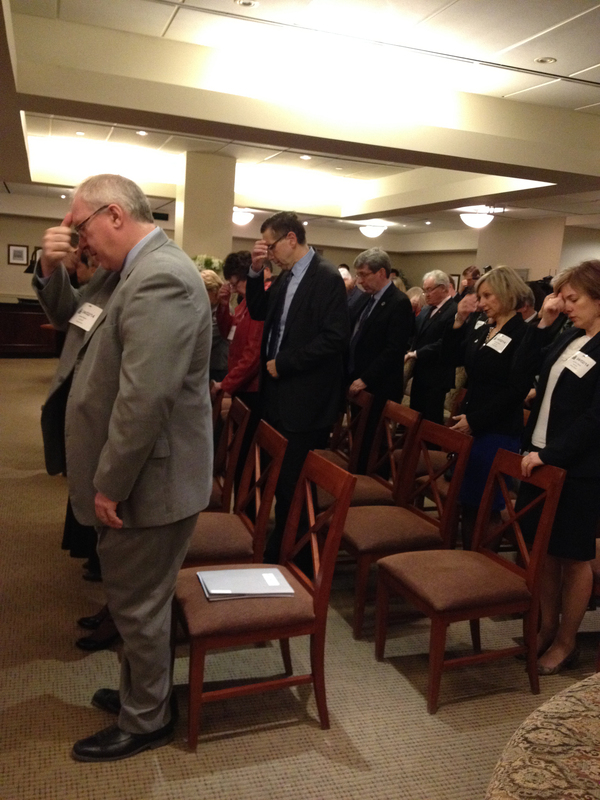 Image from the Archdiocese of Toronto. The Renaissance era was known for the period of time when great artists, inspired by their faith, created timeless works of art like the painting on the ceiling of the Sistine Chapel created by Michaelangelo. It now looks like an alumnus of the York Catholic DSB may be a great artist for his own generation equally inspired by his Catholic faith as the many artists who came before him. Farhad Nargol-O’Neill grew up in Unionville, attending Blessed John XXIII Elementary and St. Robert Catholic Secondary schools. He later studied art and music at York University and graduated in 1991. After studying and travelling internationally he returned to the Toronto area in 2013 and met with His Eminence Thomas Cardinal Collins to discuss the ways in which he could devote himself to religious art as a vocation. That meeting led to an opportunity to create Marian double doors, carved in bas-relief, cast in bronze and gilded for St. Michael’s Cathedral. “Father Michael Busch [Rector of St. Michael’s Cathedral] agreed to the idea in principle but suggested that given the number of Rosary stories, twenty in all, that both the North and South double doors, within St. Michael’s Cathedral should be the “canvas” to which he should address his designs. We spoke about the Incarnation, and the theology of the Rosary. 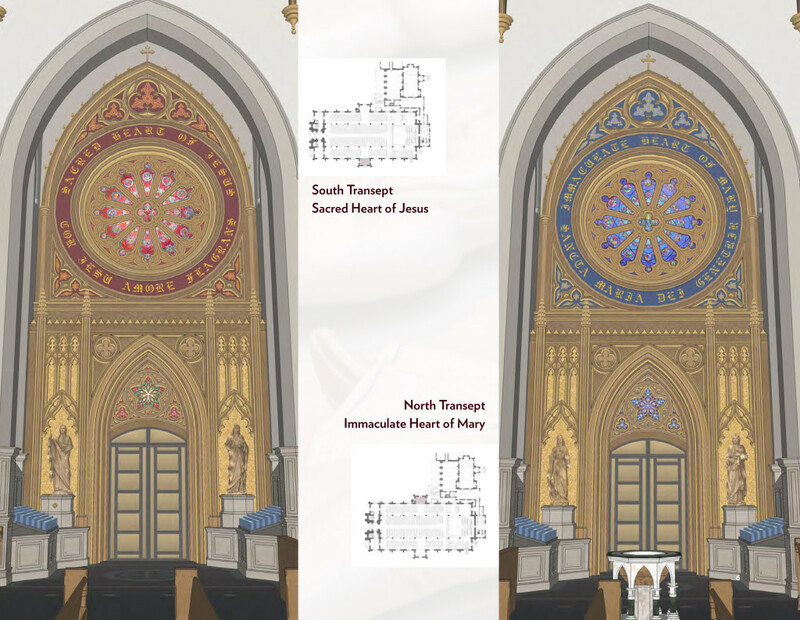 It was agreed that the Joyful and Glorious Mysteries be carved for the North Transept doors – with that transept remaining as the Chapel to The Blessed Virgin; while the South Transept which would remain the Chapel to the Sacred Heart and to contain within its doors both the Sorrowful and the Luminous Mysteries. It was also suggested that Farhad should attempt to make the images of the Rosary specific to the Cathedral with the first five mysteries and the Joyful mysteries set within the Cathedral itself.” — from the “St. 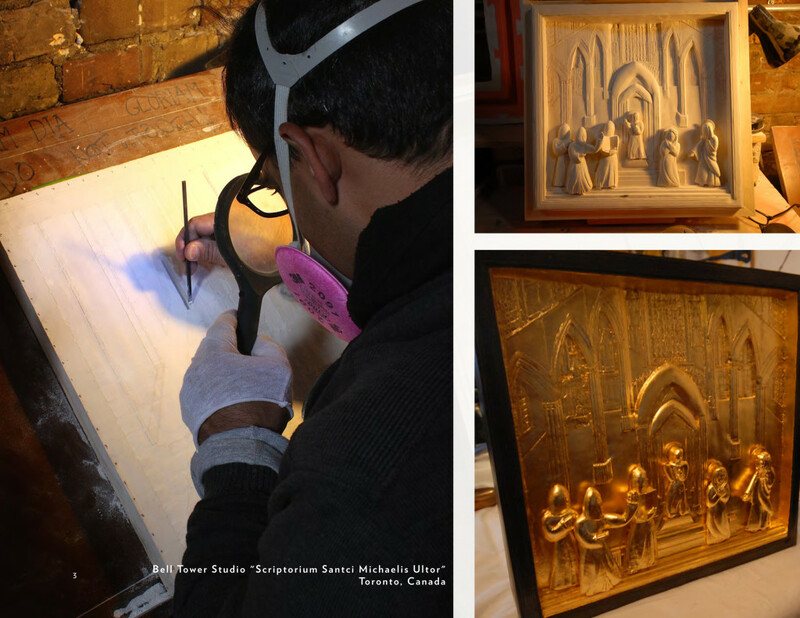 Michael’s Cathedral Restoration Project” publication, Archdiocese of Toronto. Farhad presented his proposed concepts to the consuls of St. Michael’s Cathedral in June, 2014. The drawings were unanimously approved and he is currently working on panels for these Cathedral doors from a studio in the bell tower of the Cathedral. As Farhad’s work comes late to the restoration project, funds have not been allocated for this great work. 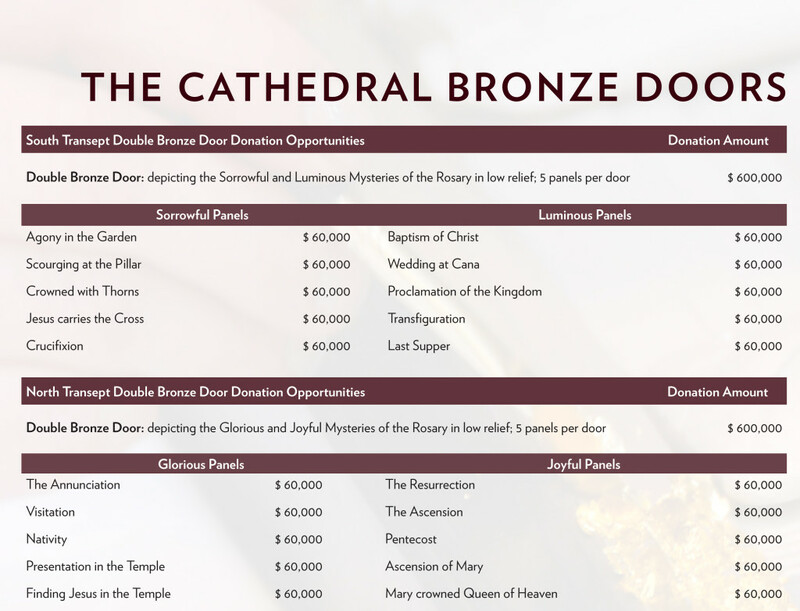 Donations are being accepted to support the creation of the panels within each door (see graphic below). For more information please contact cathedral@stmichaelscathedral.com. 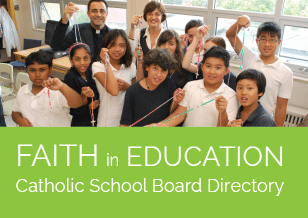 Contact the Archdiocese of Toronto for more information – 416-364-0234.